Hatton is not strictly a village but rather a hamlet as we do not have our own church. First records note in 1230 that the hamlet was given by Geoffrey, son of Adam of Dutton, to William, son of Hothy of Hatton and has historically comprised farms and labourers’ cottages. It is believed a Roman road may have followed Goose Lane and Daresbury Lane. Occupations evidenced in the 1911 census include at least 4 dressmakers, a brick maker, a draper, a farmer of 140 acres employing 5 labourers and a boy, a blacksmith, a washerwoman and a local Wesleyan preacher who was also a shoemaker. Between the wars, Hatton saw an influx of Irish potato pickers who were housed in lean-to’s called ‘paddy shants’. The post office, the last shop and the last of the chapels have disappeared in recent times. Parish Council minutes record a reluctance to accept the provision of piped water by people who trusted the quality and quantity of their own wells. 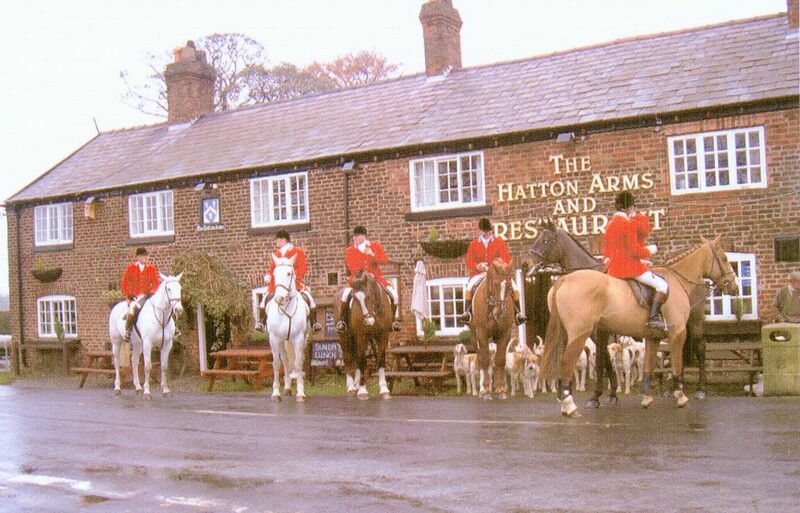 Symbols of the village school remain and many house names have survived the centuries, thought Hatton’s ‘local’ has quenched the thirsty through several inn names.